thanks our generous sponsors, exhibitors and supporters of the National Writers Forum. The event would not be possible without their support. Creative New Zealand is a Crown entity governed by the Arts Council that encourages, promotes and supports the arts in New Zealand. The New Zealand Society of Authors (PEN NZ Inc) is a recipient of the Toi Uru Kahikatea programme and received financial support to present the 2018 NZSA National Writers Forum. The New Zealand Society of Authors (PEN NZ Inc) Te Puni Kaituhi o Aotearoa is the professional organisation that represents and advocates for the interests of writers in New Zealand. We support writers through advocacy and representation on government and industry committees and boards; we provide professional development programmes and services for our members including mentorship and manuscript assessment programmes; we provide information on the publishing industry, competitions and opportunities for writers; we work to improve income and conditions for writers; we promote New Zealand writing and literary culture, have an advisory service for members and develop a community for writers through our 8 regional branches and many writing hubs and groups around Aotearoa. We are affiliated to Pen International who work tirelessly to protect basic rights to freedom of expression. We run the biennial National Writers Forum. Copyright Licensing New Zealand (CLNZ) works to protect and support the rights of writers and publishers in New Zealand and is delighted to be a supporting partner to the National Writers Forum hosted by the New Zealand Society of Authors in September 2018. The 2018 annual $25,000 CLNZ Writers’ Award and the CLNZ/NZSA Research Grant Recipients will be presented at the CLNZ Awards Cocktail Party during the Forum. The University of Auckland offers a range of challenging, practice-based creative writing courses built around seminars and workshops, including the Master of Creative Writing programme set up by Albert Wendt and Witi Ihimaera, convened by award-winning author Paula Morris. Writers can also take playwriting courses through drama, and screenwriting courses through our prestigious Screen Production BA and MA programmes. The Book Council helps grow the next generation of readers by delivering programmes in schools to encourage students, especially the most disadvantaged students, to read and write. 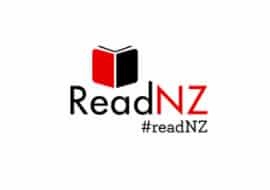 They run campaigns to encourage New Zealanders to read, research our reading habits and barriers to reading, and advocate for the importance of reading including ReadNZ and Writers in Schools. WeCreate is the hub for New Zealand’s creative sector. We’re here as the catalyst for the growth of New Zealand creativity, to let you know about big news affecting the sector, to keep you informed about our creative businesses, and to help you access the creative content you’re looking for. Established in 1988, in the heart of Auckland’s historic Mt Eden Village, Time Out Bookstore is renowned for its excellent and eclectic books, occasionally weird window displays, haven-like children’s book room, and in-store cat. Time Out is a regular winner of the Bookseller of the Year award at the annual New Zealand Book Industry Awards. Nielsen Book is a leading provider of search, discovery, commerce, consumer research and retail sales analysis services globally. We collect book information from over 70 countries (including the UK, Ireland, Europe, Australia, New Zealand, India and South Africa) and work closely with the leading data providers in the US to ensure we have the most consistent and comprehensive global database of title records available. Set up in 2005 in memory of historian and biographer Michael King, the centre aims to support New Zealand writers and to promote all aspects of New Zealand’s literature, including fiction and non-fiction. It is based in the historic Signalman’s House on Mt Victoria/Takarunga in Devonport, a quiet retreat set in a reserve with panoramic views of the Waitemata Habour, yet it is close to the vibrant Devonport village and ferries to Auckland city. We offer a programme of supported residencies for New Zealand writers and low-cost accommodation for visiting writers who need a quiet place to work. The centre also organises workshops, literary events and has a collection of resources for writers. Interested in being a sponsor or exhibitor at the 2018 National Writers Forum, or advertising in the Conference Programme? The NZSA brings you this unique national conference for all New Zealand writers. Join prestigious local and international speakers who will share their knowledge, ideas and experience and meet others from New Zealand’s writing community.